'Stories', Stepan Litun, vertical video with sound, 32 min. Stepan Litun has got about a dozen Instagram accounts. He literally can’t live without this service. Litun have been using the instastories feature from its very inception. More importantly, he pioneered in leveraging stories as an artistic medium. No theoretical texts have been put together on the application of medium-specific characteristics of “atemporal” social networks in contemporary art. For this reason, Litun’s project is beneficial for primary analysis and intellectual interpretation of these characteristics. 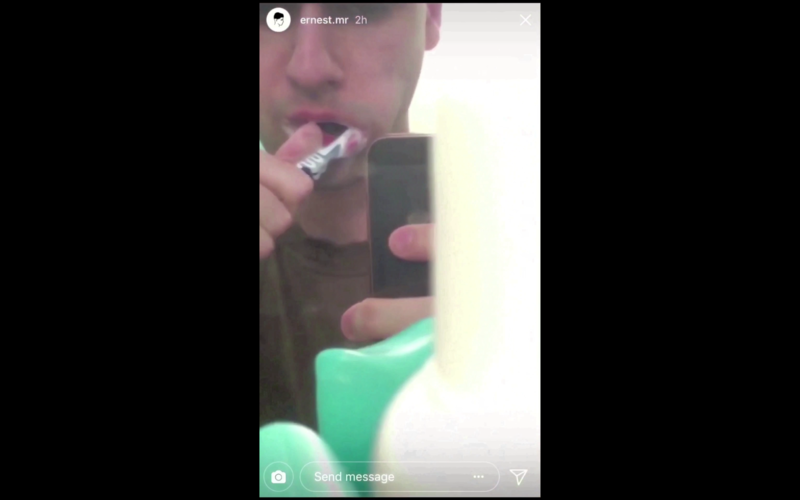 At the formal level the stories medium-specificity is determined by their verticality, the viewing technique known as swipe / skip, and the ability to switch between the main and front cameras in a single story, ability which is unique to Instagram and which places the user in the ambivalent position of the director-actor. 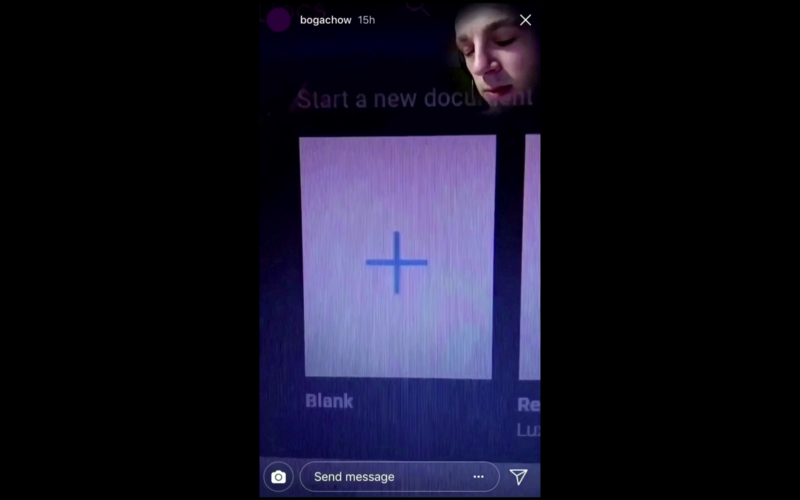 At the conceptual level, stories are unique in terms of their lifecycle (automatic deletion after 24 hours); no simple ways to download someone else’s story; marginality in relation to the main feed; weakened content moderation and hierarchical access settings. Stories predecessor, known as snaps (introduced by Snapchat), quickly made the news by a number of scandals around their explicit content. 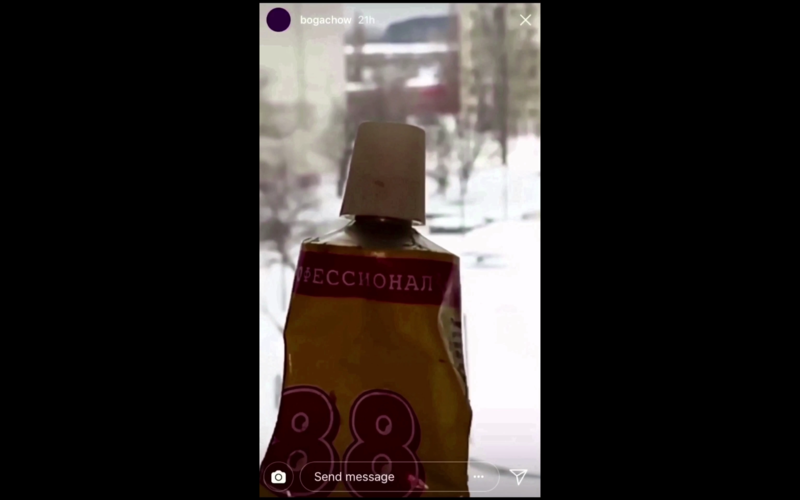 However, the revolution did not happen before instastories which created a sharp contrast between the official feed ‘facade’ and the ‘underside’ filled with all sorts of “trash”. Noteworthy, not users, but the service itself, had marked such a watershed between the official and the unofficial. In this condition, the choice between uploading into a feed and uploading into stories has become both ethical and aesthetic one. Not only stories allowed the user to upload graphic images and videos without fear of moderation and bans. They allowed users to appear under different guises before different audiences, which was crucial for those who were followed not only by friends but also by colleagues, parents and so on. Let us describe all traditional media (painting, cinema, photography, performance, etc.) which did not prescribe the content of artworks, as neutral. The condition of post-Internet and new media seems to be different. Just as so called anonymous image boards, or chans, (especially notorious /b), the medium of stories is not neutral, as it encourages the production of certain types of content. 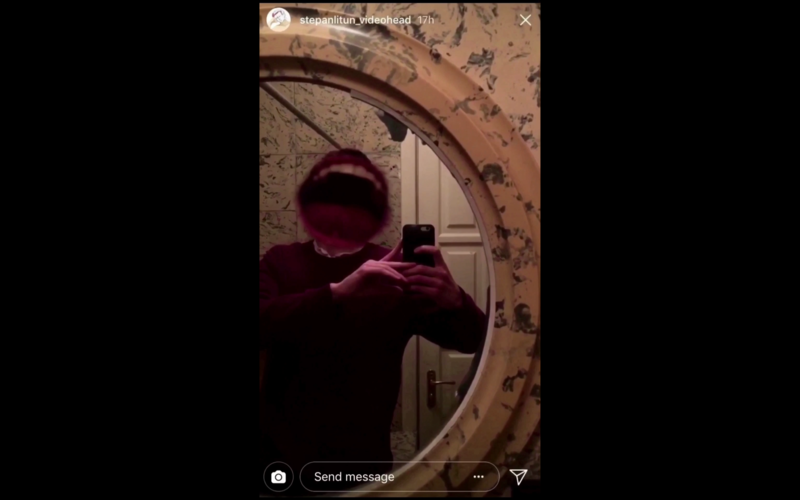 The conceptualization of instastories as an artistic medium with medium-specific properties is complicated by the fact that, like any other technology, stories are constantly being transformed. 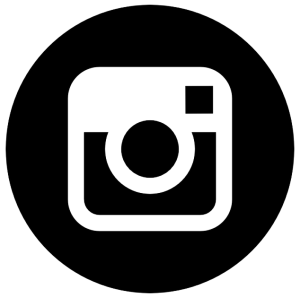 For example, Instagram has offered users an ability to create permanent collections of stories recently. In the world of high-tech media such situations are not uncommon. Apparently, we are entering the era of short-lived post-Internet media. As part of his project, Litun had invited several friends to shoot and publish instastories during a pre-selected day. While other users have been browsing those stories as usual, Litun was carefully archiving them bypassing Instagram restrictions. As a result, the collectively created material formed the basis of the vertical video shown here. Note that the vertical aesthetics in video art has its own history, with Stanislav Bityutsky ("Tomorrow you will surely recover") and Michael Haneke ("Happy end”) being the prominent representatives.